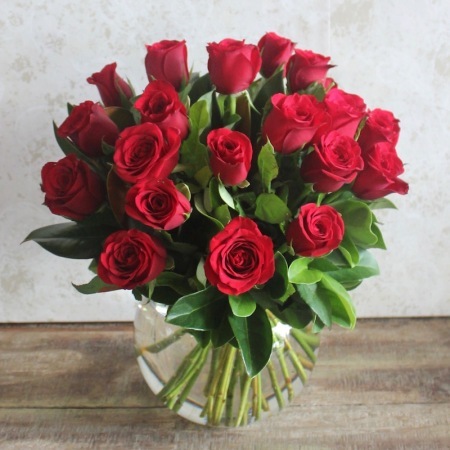 This elegant glass fish bowl embrace 20 gorgeous 40cm red roses an amazing gift for your sweetheart on the most romantic day of the year Valentine`s Day. Order these lovely flowers from your local florist located in Carlingford Court. Same day delivery available order now.